This kind of movie isn’t normally my type of thing. Movies, for me, are a form of escapism from real life. Same as with books. I like fiction. Sci-fi, fantasy… Most any genre is fine. But I can’t really handle true stories based on such heartbreaking & disastrous events – especially recent ones I remember well. I have yet to watch any 9/11 movies (and I doubt I will). But The Impossible looked very good from the trailer and, to be completely honest, the showtimes for it were the only ones that worked out for me and I really needed a trip to the cinema! 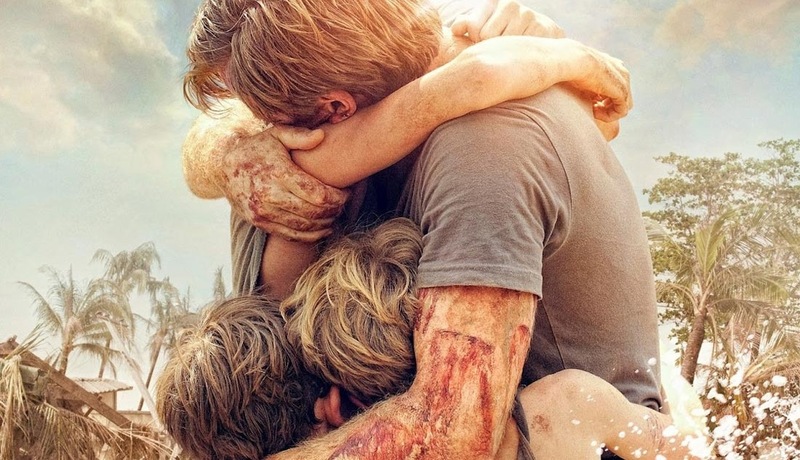 This movie is exactly what you’d expect – heartbreaking scenes with just the right balance of heartwarming scenes as well to keep the general movie-going, popcorn-munching public happy. Great performances from everyone involved but especially the older boy (played by Tom Holland) and Naomi Watts. I went to it and saw the exact movie I was expecting to see. I don’t know if that actually makes a film a great film, though. I’ll admit I know nothing about the real true story of the real family involved other than that I know they’re Spanish. And, no, I’m not going to ask why they couldn’t be played by Spanish actors – there are enough people bitching about that online already so I’ll just leave it to them to discuss! Conclusion: Yes, this is a good solid movie based on true events with some great & touching performances. Is it getting even better reviews than it deserves as it’s based on such a traumatic recent event? Yes, probably a little bit. I do recommend it if it’s your kind of thing as you’ll get exactly what you’ll be expecting. I think it’s a rather manipulative movie, but pretty freaking good either way. Definitely heart-wrenching. Watts’ leg wound is so nasty, lol. I loved the cast. Watts and Holland were the highlights, but I love McGregor in just about anything. Yeah – I just couldn’t look at that leg wound. It’s definitely a good film but not one you’re likely to ever re-watch… I know I’m not planning to! Great performances, though. what a great movie, but I understand the feeling of enjoying a movie but not really wanting to see it again so soon since it was too emotional. Hmm. That one sounds intriguing – I’ve just had to look it up because I’d not heard of it.